Bearlim is a talent local designer who are so wonderful to work with. I love the prints! I´m very glad you decided to make them, I´m sure they will be a huge success in your shop. lovely, will you order more? so that i can buy from you? 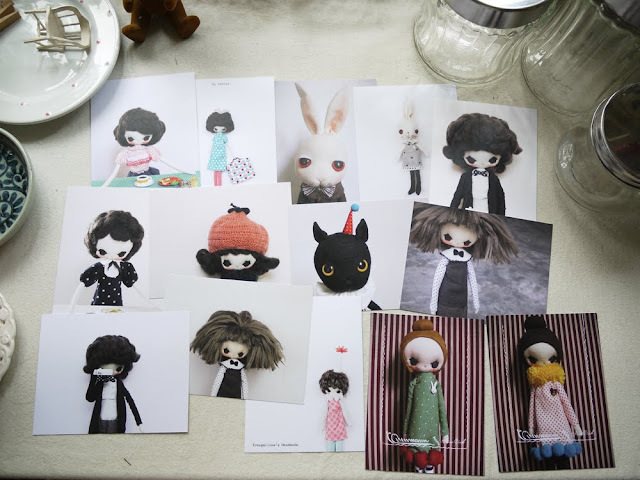 i love your dolls, i love postcards...!! I want kakak~~~~ Can you send me a postcard? I want to decorate on my wall! Everything is just marvellous!!! Bravo!